You may have noticed hummus rising in popularity lately, with a huge array of flavors available at most grocery stores. But you might not have tried the delicious variety of Middle Eastern dips out there. Never fear: We've gathered a bunch for you to try. Grab some pita or pita chips and get ready to scoop up some new favorites. 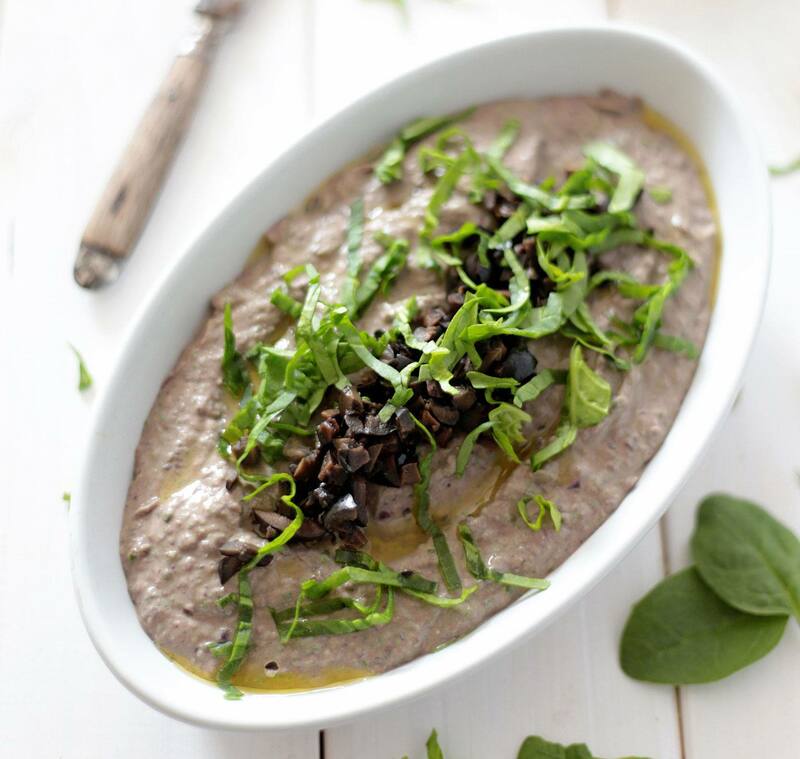 Once you've got a handle on classic hummus, switch things up with this black bean variation. This healthy, hearty dip replaces chickpeas with antioxidant-rich black beans, so while it's not exactly traditional, it does sport a pleasant Southwestern flare. This hummus pairs well with tortilla chips, and is an umami-packed alternative to salsa. This tasty chickpea-based dip is creamy and protein-rich, with a subtle nuttiness from tahini, or sesame paste. It's perfect as-is, but also makes an excellent base for your favorite mix-ins. Once you master this simple recipe, you'll wonder why you ever bought it pre-made. The variations on hummus are seemingly endless, but once you try this spinach and feta twist, you may never play with another recipe again. The dip is slightly salty, a little spicy, and boasts a bright-green color that just screams "try me!" Use fresh spinach, not frozen, for the best flavor. Broil an eggplant to make this smoky, creamy dip that often appears in Middle Eastern appetizer spreads. It's traditionally served with toasted or fresh pita, but it's also delicious with chips or cut-up fresh vegetables. Drain the eggplant thoroughly after roasting to avoid any bitter flavors. Fans of baba ghannouj who enjoy a little kick will love this spicy moutabel, made with eggplant, tahini, and hot pepper. It tastes even better after a day or two in the fridge, so try making it a day or so ahead if you're planning a party. Adjust the amount of pepper to taste if you're sensitive to heat. It doesn't get much simpler than labneh, or strained yogurt. Spring for high-quality yogurt for this easy, delicious Middle Eastern dip with a soft cheese-like consistency. Try it spread on bagels or toast instead of cream cheese, or with warm pita for breakfast or as part of a brunch spread. Cooling, creamy yogurt-based cacik (pronounced kah-SHEEK) is popular in Turkey, often served as part of an appetizer or breakfast spread. It's especially delicious in hot weather or as a side for spicy dishes, since the chilled yogurt and cucumber mix soothes overheated taste buds. Try cacik with grilled meats as a sauce, or a dip with pita or chips. The green, leafy vegetable purslane is often considered a weed, but it is in fact a flavorful, vitamin-rich herb that many cultures have enjoyed for centuries. Try it in this simple spread, called yoğurtlu semizotu in Turkish. Pulse this tangy wild plant with yogurt and garlic into a cool, zippy dip. It's great on crostini, with pita, or even by itself. Exchange chickpeas for fava beans and you've got ful madammes, a Middle Eastern spread commonly eaten for breakfast with warm pita. You can enjoy it anytime, with pita, chips, crackers, or any dipper you have on-hand. Use canned fava beans for a quicker preparation, but dried will work if that's what you can find. Are you bored with guacamole? Sick of plain hummus? Try blending the best of both worlds with this zesty avocado hummus dip. Ripe avocado blends seamlessly with chickpeas and tahini, without overpowering the classic hummus flavors you love. Garnish with some pepitas or pine nuts for flare and a pleasing crunchy texture. If you end up with a bumper crop of zucchini, use up some of the prolific squash in this simple and delicious Middle Eastern dip. For those who don't generally enjoy eggplant, this zucchini variation is sure to please. Feel free to customize the spice blend to suit your tastes. The deep pink color of this beet hummus is pretty enough for a fancy party, but the dish itself is easy enough to make for a weeknight healthy snack craving. This variation replaces traditional chickpeas with beets, which pair beautifully with tahini, brightening up with fresh lemon juice. Add a splash of vinegar to the beets while they boil to keep their color vibrant. Those of you who always order edamame from Japanese restaurants will thoroughly enjoy this hummus variation. Instead of chickpeas, use fresh or frozen soybeans for a slightly different flavor. Adjust the amount of lemon juice to control the tang, and serve with pita triangles, chips, or crudité. 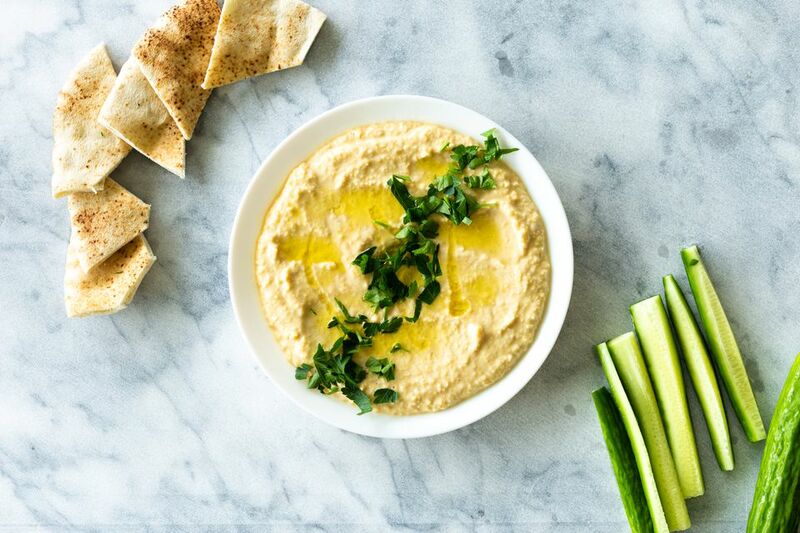 The bean and legume section at your local grocery store is a great place to experiment, so pick up some white beans for this new take on hummus. White beans are slightly softer than chickpeas, so this dip may require slightly less blending. If you don't have a food processor, you can mash them with a fork or potato-masher. Try adding your favorite hummus mix-ins to this version, for a creative spin on the classic. This garlicky yogurt dip is ubiquitous in Greek and Middle Eastern cuisine. Tzatziki often appears in mezze spreads, and is the perfect condiment for gyros, burgers, and grilled meat (especially lamb). It's also a tasty dip for pita or fresh veggies.